Dr. Rosen is the Founder and Director of the Center for the Treatment of Anxiety and Mood Disorders in Delray Beach, Florida. He started the Center in 1984 in order to focus more attention on the problem of anxiety disorders. Through the Center, Dr. Rosen and his staff of highly trained psychologists and psychiatrists have helped numerous people effectively manage the stresses of daily life. In addition to his clinical successes, Dr. Rosen has written numerous articles and books and has appeared as a professional authority on countless television and radio shows concerning anxiety disorders, personality disorders, and alcohol and drug addiction. 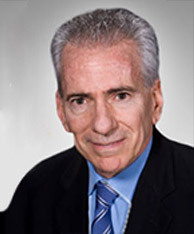 Psychologist Dr. Andrew Rosen is a graduate of Hofstra University in New York where he received his doctoral degree in clinical psychology in 1975. Upon graduation, Dr. Rosen chose to further his education by completing an additional six years of psychotherapeutic and psychoanalytic training at the Gordon Derner Institute in New York where he earned his certification as a psychoanalyst in 1983. As a result, his impressive and effective clinical career has spanned almost four decades of private practice. Dr. Andrew Rosen is Board Certified by the American Board of Professional Psychology. In addition, he is a Diplomate and Fellow in the American Academy of Clinical Psychology. Dr. Rosen is an active member of the American Psychological Association, the National Register of Health Service Providers in Psychology, and the Florida Psychological Association. He is also a member of the Anxiety Disorders Association of America and the Adelphi Society for Psychoanalysis and Psychotherapy. In addition, he is a Past President of the Palm Beach County Psychological Society and the Anxiety Disorders Association of Florida. The Children’s Center is founded by Dr. Andrew Rosen and Dr. David A. Gross who have been practicing in South Florida since 1984. They are the Directors of The Center for Treatment of Anxiety and Mood Disorders. Accurate evaluation of the child’s problem with a diagnosis when appropriate. Comprehensive psychoeducational, psychological and neuropsychological testing services are available. that will enlist a multimodality and a multidisciplinary team of professionals. educational programs geared to enhance resilience and coping skills.